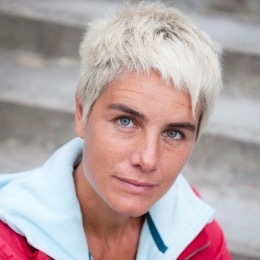 Fanny Ambjörnsson, Gender Studies scholar and social anthropologist at Stockholm University, had her study Tid att städa: Om vardagsstädningens praktik och politik (Ordfront förlag) undergo the Kriterium review. Why did you choose to work with Kriterium? It was the only way I could write a monograph in Swedish at my publisher (Ordfront), while also getting it approved as "real" science (which means, among other things, that the book will count towards the university's internal distribution of research grants for the faculty). So, I chose to work with Kriterium for mainly strategic reasons. How long did the review take and what's your impression of the process? The review took about three months and it worked really well. I had a most professional and efficient academic co-ordinator, who handled the process outstandingly and helped me sort through the feedback of the two anonymous reviewers, which differed quite considerably from one another. It was surprisingly helpful (and a real treat) to the work process, to have the readings and comments of two completely independent scholars during the final stages of writing. Would you recommend Kriterium to other scholars? Yes, definitely. It's vital that we create the opportunity to write both in Swedish and in monograph form within the framework of scholarly publication. 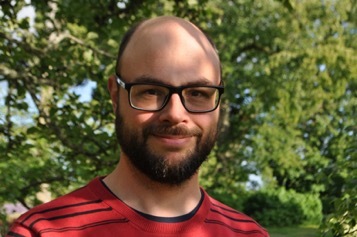 Martin Dackling, historian at Gothenburg University, had his study Istället för äktenskap: Att driva jordbruk tillsammans med syskon i 1900-talets Sverige (Nordic Academic Press) undergo the Kriterium review. The book was a real effort to write, and I wanted it to have the mark of quality of a thorough peer review. I also valued the opportunity to receive critical feedback regarding the contents before the final editing process. All in all, four months from submitting the manuscript until it passed muster, which includes the time I spent on my own final editing. The review process worked well and I received some really useful feedback on my text. I'd recommend Kriterium, since it is an opportunity to have books reviewed in a process similar to that used for scholarly articles. This spells a brighter future for the scholarly monograph. Through a publisher, which can be either a publication series or a publishing house, an author of an academic book can advertise their interest in having a work reviewed and published in Kriterium. Since Kriterium is not a publishing house in its own right, the manuscript must have another publisher. The book will then be formally published both as part of the series issued by the publishing house, and by Kriterium. The publishing house or series handles production and distribution of the finished book. Kriterium contributes to the qualities of the book by academic evaluation (peer review), which is done in addition to the work and production time of the publishing house or publication series. Furthermore, Kriterium acts as a publication hub for the digital version of the book, published in open access form. The author – or in the case of an anthology, the editor – should already be in contact with a publisher, which could be either a scholarly publication series or a publishing house. It is the publisher, rather than the author, that makes contact with Kriterium. When a manuscript is ready to be reviewed by Kriterium, the publisher submits a proposal which briefly describes the contents, and argues the scientific relevance of the material. Kriterium provides an infrastructure for the review of scientific books. Applications are assessed by an academic review board. All works bearing the Kriterium seal has undergone peer review and are made available through Open Access on the Kriterium webpage. 1. (Preliminary) title of the work, and the names of authors or editors. 2. Publisher (publishing house or publication series). 3. Suggestion for an academic co-ordinator (for a publishing house, a scholar who is independent in relation to the manuscript and qualified as Senior Lecturer or higher. The co-ordinator will appoint reviewers, monitor the process and provide a summary report; for an academic publication series, the editor usually acts as academic co-ordinator). 4. Synopsis or brief description of the contents, including main conclusions. 5. (Preliminary) table of contents, where each chapter is briefly described in a few sentences. 6. Brief description of aim, issues and methods. 7. Description of the specific research grant: in which way does the study constitute a qualified scientific contribution to the field? How does the grant(s) relate to previous, related research? Which is the main target group? The above items should be covered on three to five pages. Further, the entire script or, at minimum, a draft of one chapter should be included in the proposal. When the academic review board gives the go-ahead, the publisher submits the manuscript to Kriterium’s digital review platform. The academic co-ordinator, in consultation with the Kriterium academic review board, appoints two mutually independent reviewers with expertise in the relevant field, taking into account, among other things, the current policy of the Swedish Research Council regarding bias and conflicts of interest. Through the review platform, reviewers and academic co-ordinators can access the manuscript, and submit reviews and comments. The academic co-ordinator is responsible for ensuring the progress of the review work: to upload the manuscript for review, to ensure that reviewers’ comments are considered by the author, and to document the work in a brief, written summary. Depending on the results of the review, more than one round of peer review and changes made by the author may be required. Kriterium will then assess the review, the documentation of the process, the subsequent revisions and, to some extent, the manuscript — i.e. a meta-review. If the manuscript displays sufficient quality, it is subsequently approved for publication in Kriterium. If the manuscript is not approved, it may still be published, but without being included in Kriterium. If the manuscript is accepted, the book is published both in Kriterium’s series and by the publishing house or in the publication series. In some cases, it is possible to replace one of the two reviews with a previous review, provided that this is sound, independent, and conducted by an external reviewer, e.g. when applying for production support from Riksbankens Jubileumsfond. This will be determined by the academic co-ordinator. Documentation of the conducted review is then submitted in the review system along with the review itself. Kriterium’s academic review board consists of a number of academic representatives from various disciplines and institutions of higher education. As a first step, board members assess the synopsis and the proposed academic co-ordinator. Secondly, they determine whether a review has been carried out in a satisfactory manner, including the revisions of the manuscript based on the review. Structurally, the review board can be compared with an appointments board, whose members themselves are not experts within each subject area, but who, based on their academic expertise, can determine whether the review process has been carried out in a satisfactory manner. Each manuscript is assigned an academic co-ordinator. This could be a series editor, which is often the case when a manuscript is published in a publication series. The co-ordinator might be an ad hoc editor, a subject expert who is assigned responsibility for a particular manuscript. This is usually the case when a publishing house is involved, or when a series editor is unable to serve as the co-ordinator for some reason. The academic co-ordinator plays a key role, and is responsible for selecting peer reviewers, for assessing these reviewers' comments, and for communicating with the author about what needs to be done. 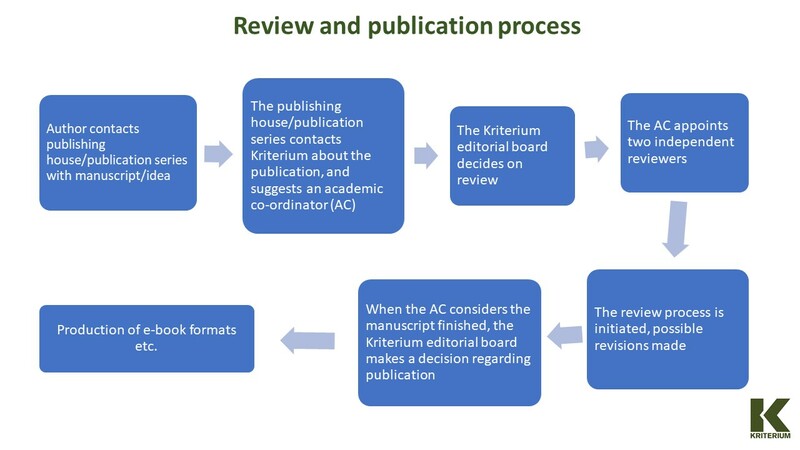 The academic co-ordinator then presents a summary to the academic review board, about how the reviewers' comments have been incorporated into the manuscript, and either recommends or advises against publication of the book by Kriterium. The academic co-ordinator may delegate practical aspects of the process, such as actual contact with the reviewers, to someone else (e.g. the publishing house) but is ultimately responsible for the contents. Read more about the reponsibilities of an academic co-ordinator. A minimum of two reviewers are assigned to each manuscript. They read the manuscript and provide comments according to the Kriterium framework. The review is carried out as a double- or single-blind one, the first meaning that authors and reviewers remain anonymous to one another, and the second that the reviewer is not known to the author, but that the author’s name is disclosed to the reviewers. Reviewers provide an assessment of the manuscript through Kriterium’s digital review platform, where they recommend either major or minor revisions to the manuscript, or indicate its unsuitability for publication. When necessary, there can be several rounds of review. The publication series or publishing house is responsible for all practical work concerning publication of the book: layout, proofreading, printing (if the book is published in printed form), distribution and marketing. They initiate the first contact with Kriterium about having a manuscript reviewed. If a manuscript is not accepted by Kriterium, or if the author cannot implement major revisions required by the reviewers, the series or publishing house can still publish the book, but without the involvement of Kriterium. The author (or the book editor, in case the book is an anthology) decides whether the manuscript should be submitted to Kriterium for review, in co-operation with the editor’s series or its publishing house. When reviews are completed, the author implements changes to the manuscript in consultation with the academic coordinator. The time needed for a Kriterium review might vary considerably, but the objective is for the review process to take no more than 3 months, which are added to the overall production time of the book. The outline of the review process is set, but may vary for different books depending on how many revisions of the text are required before publication. All Kriterium book projects will involve a cost due to the review and revision process. The fee includes costs for the use of the digital review platform, as well as any fees paid to academic co-ordinators and reviewers. Fees will be paid by the publication series/publishing house in question. For more information, please contact your publisher. The author, in consultation with the publisher, determines under which Creative Commons license (CC license) the book will be published. Kriterium requires that all books be assigned one of the licenses. Publishing a book under this type of license does not relinquish any rights. It merely states how the author wishes the work to be used. The CC license should be indicated on the imprint page, with the symbol of the chosen license type. Read more about the various licenses available. 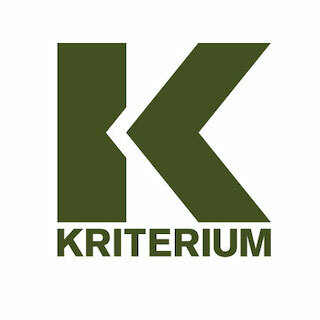 Kriterium publishes the open access version of a title on its website, while the book is issued by the publisher. Additionally, Kriterium encourages the series/publisher to publish the book as open access, and recommends that the author submits the open access version in the open archives of their university – for example DiVA, GUPEA or LUP. Once a manuscript has been approved by Kriterium, it is published in the publication series or by the publisher chosen by the author. It should be clearly stated in the finished book is published as part of the Kriterium series. It is encouraged, but not required, that the book includes the Kriterium logo on the insert and/or cover. Regardless, the CC license under which the book is published must be specified (see above). Certain information details about Kriterium must always be included in the book. There is a minimum level and a more detailed level, one of which should be included on the imprint page. This book is published within Kriterium, a consortium for peer review of Swedish academic literature. All books published within Kriterium are available as open access through the website www.kriterium.se. This book is published within Kriterium, a consortium for peer review of Swedish academic literature. The manuscript has been reviewed by a minimum of two external, independent experts, and Kriterium has subsequently approved the book for publication. Kriterium is an initiative of Swedish universities, and aims to support and strengthen the position of academic books in relation to other forms of academic publishing. All books published within Kriterium are available as open access through the website www.kriterium.se. Send the copyright page for proofreading to Kriterium before printing and publishing. 12 copies of the printed book, if a print version exists. Additionally, the publishing house/series must provide the academic co-ordinator and reviewers with a reference copy of the completed book. If all e-formats are desired a script in InDesign is required. If you wish to publish a PDF only, you must provide an e-PDF with an interactive table of contents and references, etc. An abstract in English and in the original language (if not English), 200-300 words in length. Keywords/subject heading, discipline and sources of funding should also be included. Write a press release text, including information about the book and author, see example. Front cover as an image file (min 300 dpi) for publication on the Kriterium website. Metadata for OAPEN, see Example here. Download the form(s) here. All books within Kriterium are published Open Access via OAPEN and become searchable in DOAB. Please contact Kriterium if you have any questions.